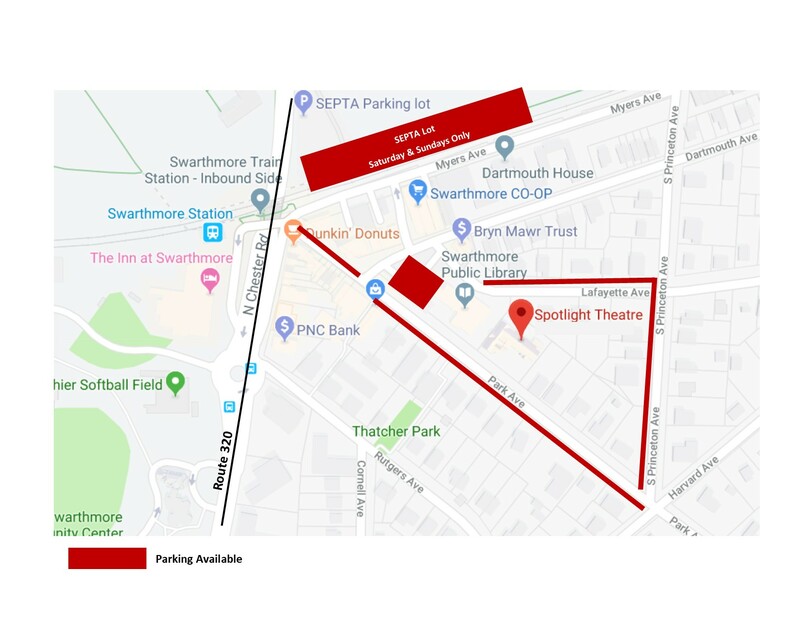 Please note that parking in Swarthmore can be a challenge. There is parking on the street and in the municipal lot (Note: No charge at the meters after 5:00 PM and on weekends. ), and, on Saturdays and Sundays, you can park in the SEPTA rail station lot. Below is a map with just a sampling of parking available.